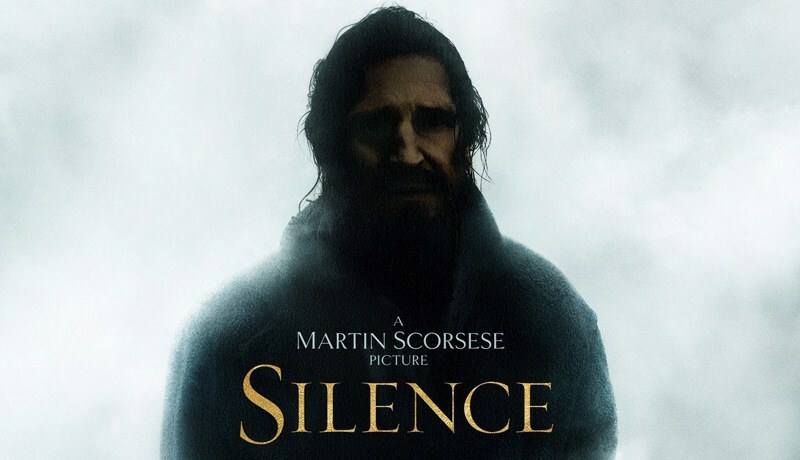 NOTE: I have not seen this movie yet, and have read that it is quite graphic in its depiction of Christian persecution. Read more about this movie in these excellent reviews: FOX News click here. To read of how star, Adam Garfield’s, faith was challenged during the filming of the film click here. Finally, you’ll find a solid review by Christianity Today by clicking here. Me: My anxiety is crushing me today. I’m not sure I can survive this. God: Of course you can. Breathe. In and out. Slowly. You are going to be fine. Breathe it all in. Breathe. God: Take a couple of deep breaths. Breathe in and breathe out. Your heart will calm down if you just breath deeply and let yourself be healed. Me: I don’t think breathing air is going to heal me. God: I didn’t say anything about air. Me: What am I breathing in, then? McGrath references C.S. 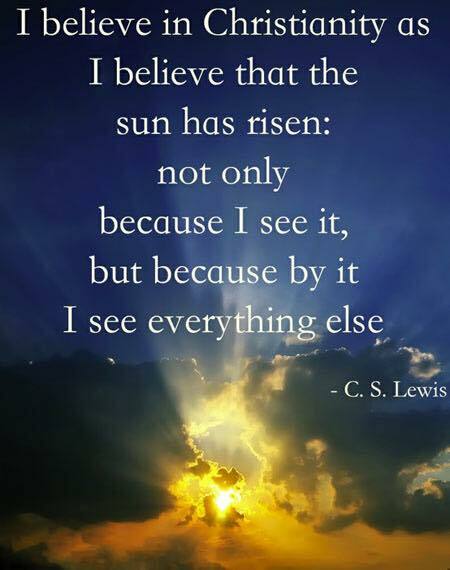 Lewis’ (a former atheist, as well) familiar quote, “I believe in Christianity as I believe that the sun has risen: not only because I see it, but because by it I see everything else,” where Lewis emphasizes the importance of “seeing” as a metaphor for human engagement with greater reality. 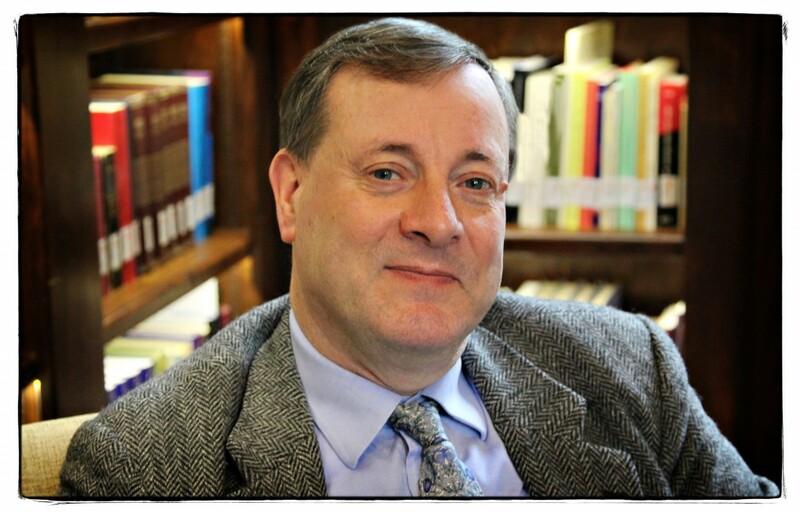 IF YOU LOVE TO READ HISTORY…. Eric Metaxas, a NYT best-selling author, has become one of my favorite biographers. After reading his biography on Dietrich Bonhoeffer I was hooked. This past week I saw the following posted on Metaxas’ Twitter feed. 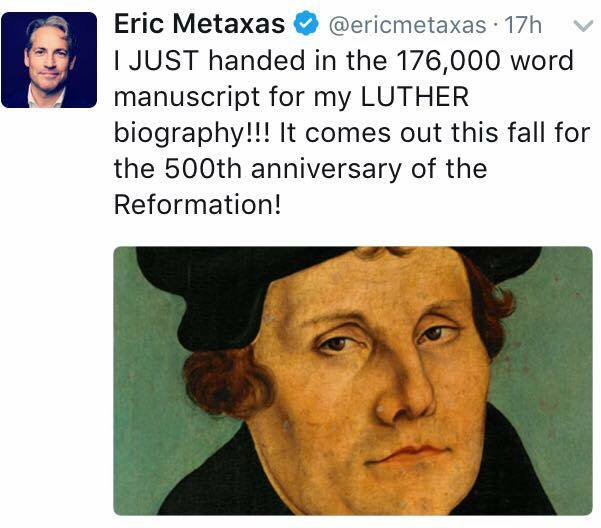 I’m a huge fan of Luther. Can’t wait for the Fall release of Metaxas’ biography. 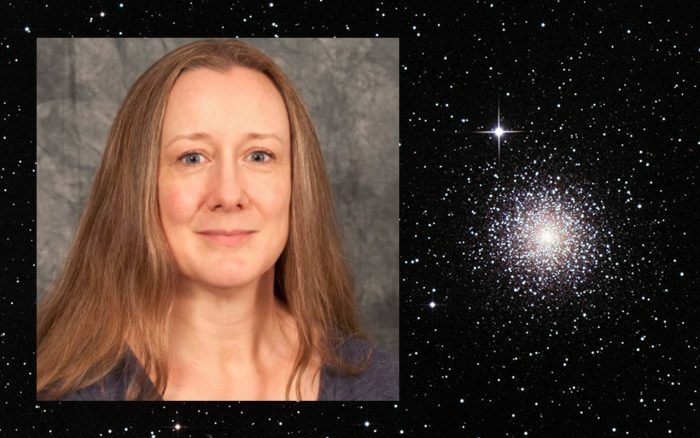 Sarah Salviander, Ph.D., is a researcher in the Astronomy Department at the University of Texas at Austin. She also a part-time assistant professor in the Physics Department at Southwestern University. Read Sarah’s exciting story by clicking here. I’ve read Jesus’ prayer recorded in John 17 many times. 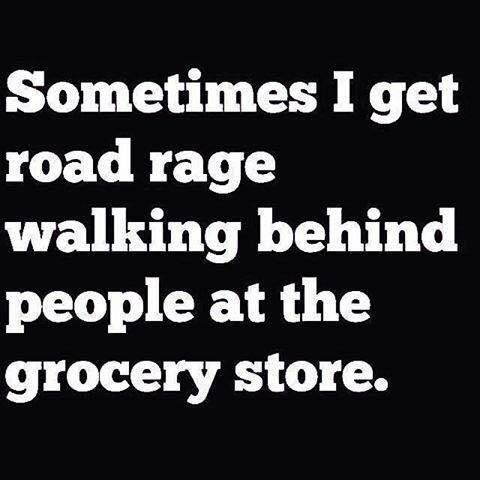 But I never considered this. Read the blog here.